Prashant Thakker has successfully raised funds & reached the goal amount. We thank all the 114 generous supporters for their kindness. Feel free to ask Prashant Thakker for a new update on this Fundraiser. Jidnyasa to get Rs 18 lacs at 18 ! As promised to you all, for our fund raise campaign, I visited Little Jidgnyasa and Sepoy Vikas Janardhan Kulmethe’s (KVJ) family.on Thursday 9th Feb, accompanied by my close friend Ravikant, who went out of his way to put this trip together. An overnight train from Mumbai, got us to Wardha Junction early morning at 7.45 am. A two and half hour drive, through acres of un-plucked cotton fields along the route, deep into rural Maharashtra, brought us to Sepoy Vikas’s house in the village or Nerad Purad, Wani Taluka, District Yavatmal. There we met with Sepoy Vikas’s father and mother and other members of his family. This will now ensure that Little Jidnyasa, who is 15 months today, will inherit Rs 18 lacs when she turns 18 ! The mother/daughter will have an option to review the arrangement at the end of 10 years but Sneha Tai agreed that it is in Jidnyasa’s best interest to let this endowment run its full 16 years. Hats-off to SBI, who was extremely responsive and the manager Mr Wankhede put all this in place in less than an hour. We then drove another hour to a little hamlet some distance away from Moregaon, where unfortunately, the swach bharat campaign was yet to reach. Here Sneha Tai lived in a small house with her mother, grandfather and little Jidnyasa with Sepoy Vikas’s photo adorning the main wall. Jidnyasa is an extremely cute and bright child. She says hello and offers her little hand in handshake when prompted by her mother. We had taken a few toys and clothes for her and she immediately warmed up. My beard, however was a scare factor and she would just not come into my arms.! Sneha Tai’s mother made us a simple maharashtrian midway meal of kanda-poha and cha and little Jidnyasya waves us a goodbye as we take their leave. Sneha Tai gets all emotional saying she is grateful that so many people think of her daughter’s future. This meeting with Jidnyasa, Sneha Tai and Sepoy Vikas’s parents was a moving and gratifying experience. It made me feel that the 3 months of fundraising effort, pushing friends and colleagues, sending whats app chasers, taking on the time challenge for the SCMM half marathon - was all worth it. On meeting the family, we also realised that the Indian government has been doing a lot for our martyred soldiers’ families. They have already released significant amount of financial support to the family. The family will get benefits wherever there is an army quota & Sneha tai has been promised a job in the government. Jidnyasa’s schooling is free in government institutions but may need to pay for better quality education. I want to thank you and all the 113 people who have financially contributed to this wonderful effort of providing financial security to a martyred soldiers daughter. I have only presented to the family what you willed. So THANK YOU AGAIN…for your help, support, encouragement and guidance. Attached are some photos from the trip, hopefully this helps to connect with the very noble cause you have contributed to. Today our fundraise for Sepoy KV Janardhan's daughter - Jignyasa education fund has reached the magic figure of Rs 700,000. (7 Lacs). Amazing support received from friends, family, colleagues, extended networks, friends of friends and even anonymous donors - all for the little Jignyasa's future. I am deeply touched and humbled. Thank you again ! 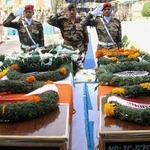 Ketto.org and Kunal Kapoor visited the home and village of another martyred soldier Sepoy TS Somnath. Here is the video of that visit and my appeal on it. https://www.facebook.com/ketto.org/videos/1201827686537001/ Watch out for my videos and photos when I visit Sepoy Janardhan's family soon. The campaign seems to have touched a cord somewhere and people have been calling in to say they want to do more. In response, we have extended the campaign by another week and are aiming to raise 900,000. (9 Lacs). As we celebrate India's 68th Republic Day,let us make our Soldiers's proud by standing up for their families. We are raising the goal - for little Jignyasa. Will you help us achieve it ?. Share and spread the word. Click the link below to make a donation. As we close our Diwali and New year celebrations with our families and loved ones, let us light the lamp of hope in the lives of the families of our martyred soldiers. We have all vented our tirade on social media and facebook. Here is a chance to walk the talk. Our 1st target plan is to raise INR 5,00,000 (Rs 5 lacs) for the formation of a fund for Sepoy Janardhan’s 10 month old daughter, Jignyasa. This will ensure that whatever the family circumstances; Janardhan’s wife Sneha and their little girl will receive regular financial support and the accumulated capital being available at a time when most needed for the young girl. The task is difficult but we can do it together. I am calling on each of your big hearts and fat wallets to respond. Contributions in multiples of 5000 are ideal but you can contribute what ever your heart agrees. My appeal to you all - my friends, family, acquaintances and business associates for your social support as well. 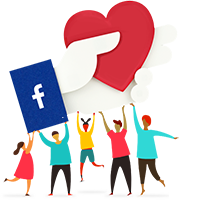 Leverage your social media outreach - Post, share, tweet, paste on facebook, LinkedIn, Whats app, Twitter, Instagram et all and get more people involved in this movement. Send this out with your "Happy Diwali” Messages and posts. We have also made it easier for anyone to contribute from anywhere in the world. This fundraising campaign is run on Ketto.org. - Asia largest crowdsourcing platform for Social Projects where I am a proud investor as well. 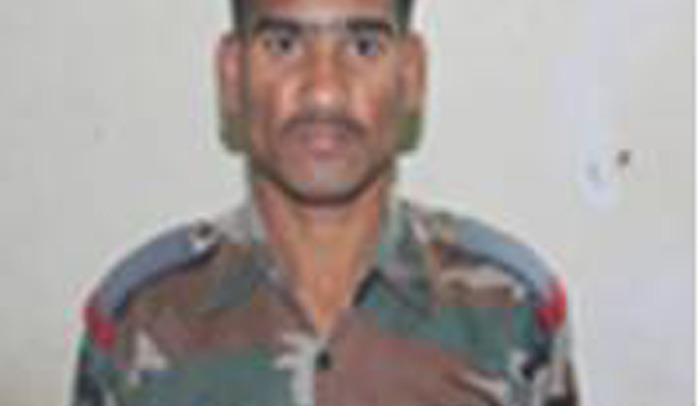 Sepoy KV Janardhan took his last stand for me and you and all of us. Your message will be directly emailed to Prashant Thakker and you will receive his/her response on the email address entered below. Your message will be directly emailed to Sepoy K Vikas Janardhan and you will receive his/her response on the email address entered below.